An archbishop has emphasised that there must be “zero tolerance for the abuse of children by consecrated persons [and] for those who cover up the abuse of children by others”, and invited those who have been abused to come forward. In a pastoral letter addressed to the faithful of his archdiocese, Archbishop Stephen Brislin of Cape Town noted that “the wounds of the survivors who have suffered the abuse of power and of conscience at the hands of priests never fully heal”. “As Church we continue to acknowledge and condemn, with sorrow and shame, the atrocities perpetrated by consecrated persons, clerics and all those entrusted with caring for the most vulnerable, our children,” Archbishop Brislin said. He urged the Church to deal with the past, and strongly encouraged “those who have experienced abuse at the hands of someone in the Church…to come forward so that the Church can acknowledge the deep individual hurt caused by abuse and contribute, with humility, to the process of healing”. He noted that the scandals are causing a crisis of faith, but appealed to the faithful to see the crisis as one of human failure, not of faith itself. Quoting Pope Francis’ recent letter on abuse, Archbishop Brislin said that to overcome the crisis and “generate the necessary dynamics for sound and realistic change” must involve the participation of all the Church’s members. Is Clericalism at the Root of the Abuse Crisis? In his letter, Pope Francis identified clericalism as being at the root of the crisis and appealed for the participation of all the faithful. “It is impossible to think of a conversion of our activity as a Church that does not include the active participation of all the members of God’s People,” the pope said. 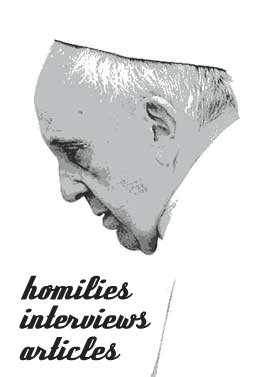 “Indeed, whenever we have tried to replace, or silence, or ignore, or reduce the People of God to small elites, we end up creating communities, projects, theological approaches, spiritualities and structures without roots, without memory, without faces, without bodies and ultimately, without lives,” Pope Francis said. Archbishop Brislin joined the pope’s call for prayer, penance and fasting. In his letter, Pope Francis said these “can awaken our conscience and arouse our solidarity and commitment to a culture of care that says ‘Never again’ to every form of abuse”. It is to this end that Archbishop Brislin called for the day of penance and fasting, which was observed along with exposition of the Blessed Sacrament in some parishes. “In this way, may we show our repentance and beg forgivenesses of our own sins and the sins of others,” he said. “By doing so, may we show solidarity with all victims of sexual abuse and may our fast, in the words of the Holy Father, ‘make us hunger and thirst for justice and impel us to walk in the truth, supporting all the judicial measures that may be necessary’,” Archbishop Brislin said. Next story Meet Our Miracle Baby!